Legally speaking, debates on gun laws have opposed two different interpretations of the Second Amendment. On one side, the “individual right theory” understands the amendment as protecting every individual’s right to own, carry and transport firearms. This is the position notably defended by the National Rifle Association of America (NRA), which deems gun controls unconstitutional. The NRA claims that the Second Amendment ensures every American the right to own and carry “the best, most modern and innovative firearms for their lawful needs, including the protection of themselves and their families.” This stance was reiterated following the Las Vegas shooting, as the association urged the Congress to pass “National Right-to-Carry reciprocity” so that individuals can protect themselves from such acts of violence. On the other side, the “the collective rights theory” argues that the Second Amendment only protects firearms rights for “a well regulated Militia”, that is, “formal, organized militia units” lawfully maintained by individual States. From this perspective, the Second Amendment only serves as a Constitutional safeguard to “restrict Congress from legislating away a State’s right to self-defense.” Individuals and groups defending this interpretation, such as the Brady Campaign, insist that the Amendment does not protect the right to own and carry a firearm for just anyone, declaring gun regulations fully constitutional. This legal debate has not been clearly settled to this day and States have implemented different legislations on gun controls as a result. Mass shootings have long been associated with the United States. If the Las Vegas shooting is the most fatal incident in recent American history, it is far from isolated. A report from Mother Jones highlights that mass shootings have caused the death of at least 761 people and injured more than 1,210 since 1982, for a total casualty number of approximately 2,000. These numbers must be put into context because the data used in the report only labels incidents that resulted in the death of at least three as “mass shooting”. Another report from Mass Shooting Tracker, considering incidents that have resulted in at least four casualties (death or injuries), suggests that mass shootings have been responsible for the death of at least 499 people between January and November 2017, while injuring another 1,548. The numbers can be debated, but they are significant enough to call out the seriousness of gun-related incidents in the country. Those who oppose gun controls argue that firearms are used less often in murder cases than other objects, but this argument seems largely insufficient to ignore the issue. Donald Trump used the same rhetoric following the June 2017 London terrorist attack, when an individual drove his truck in the crowd and ended up stabbing a policeman. The American President had also made controversial comments after the November 2015 Paris attack, implying that Parisians were killed because of strict French gun regulations. A common argument in favor of loosening gun controls states that regulating firearms ownership would create a situation where only criminals with bad intentions have guns, while law-abiding citizens are deprived of their ability to protect themselves and their families. This assumption is not supported by evidence and the United States is actually far ahead of other “western countries” (where gun regulations are tight) regarding the rate of gun homicides per capita. In addition, The Washington Post reported that in most cases (>75%), guns used during mass shootings were obtained legally. Finally, we must keep in mind that mass shootings are only the tip of the iceberg. That same report from The Washington Post highlighted for instance that in 2015, 39 people died in mass shootings in the United States while the country saw another 12,000 gun-related deaths and 24,000 gun-related injuries. Current debates on gun controls concern a constitutional amendment that was written more than 220 years ago. The late 18th century America was in the process of building a country after a costly independence war. The Founding Fathers were then concerned with providing every State and individual with the possibility to defend themselves against the potential tyranny of a higher political body, and in this case, the nascent Federal State. In this context, an armed group under the authority of the federal government should have expected its firepower to be matched by armed militias if it was to attempt to take control of the States’ autonomy by force. Should we really expect Washington to have such intents today? Technologically speaking, we are also talking about two completely different eras. 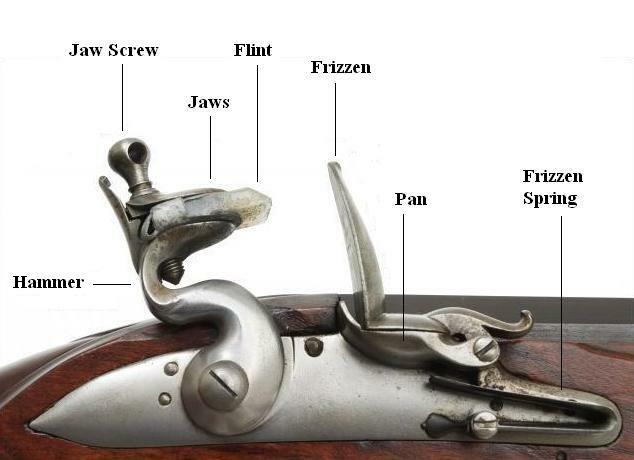 18th century firearms mostly consisted of relatively short-range, none multi-shot rifles and pistols using the flintlock ignition system. The firepower and killing potential of these firearms were far from the same compared to today’s handguns, long-range rifles and automatic (or semi-automatic) weapons. Inflicting mass casualties by shooting at a crowd of people has become much easier. In addition, the development of a wide range of modern military-grade weapons has given the American military an unquestionable edge over armed militias and individuals. In a fictional scenario where the federal government would carry out military operations against its own citizens across the country, it would be unrealistic to imagine that the latter would stand a chance. Americans should realize that the Second Amendment, by allowing the spread of firearms in the country, does little for their freedom, but in the meantime, has serious consequences for their own safety. These 27 words in the American Constitution are mostly the remains of a bygone era that the most conservative fringe of the country has a hard time letting go.